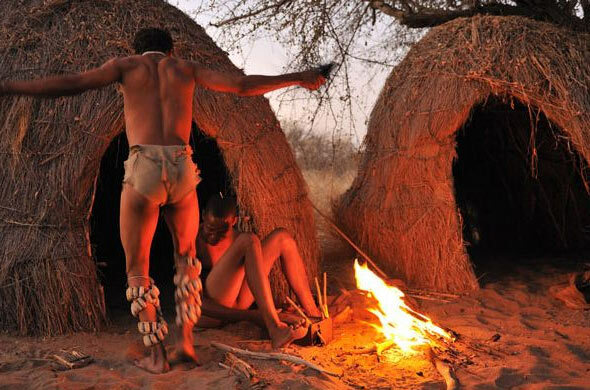 There is a mystical place at the heart of the Central Kalahari Game Reserve that has perplexed weary wanderers for many years. This “waterless oasis” known as Deception Valley was named after the riverbed which evokes the illusion of containing water. For centuries when thirsty travellers saw the promising fold of Deception Valley on the horizon they would rush towards it deliriously. Once they reached the riverbed they would recognise the depth of the deception caused by a dry riverbed that has not seen much water for the past 15 000 years. The illusion created by the pan is the result of a mirage-style effect that gives the blue-clay pan the appearance of being filled with water when it is actually bone dry. The illusion is most noticeable from the air and during certain times of the day when the pan is viewed up close. In wetter times, thousands of years ago, Deception Valley was part of an ancient river that is believed by some to have formed part of a vast ancient lake that covered much of the central Kalahari plateau. Today Deception Valley is a gathering place for large herds of springbok and gemsbok. During the rainy season the grass in the valley tends to be lush and green, attracting thousands of animals. Unlike most of the landscape of the Central Kalahari Game Reserve, Deception Valley is a grassy area and lies between wooded dunes. The habitat provides for the wildlife in the area all year round, including the dry season when there is no surface water. 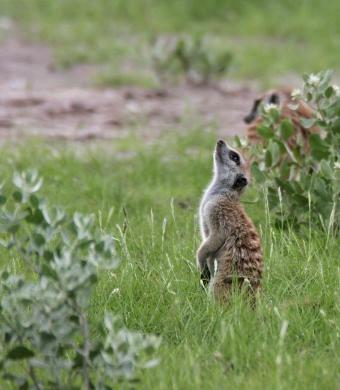 Visitors to Deception Valley in the Central Kalahari Game Reserve can enjoy a unique and relaxing experience with guided tours by the San, magnificent game viewing and complete isolation from the hustle and bustle of everyday life. 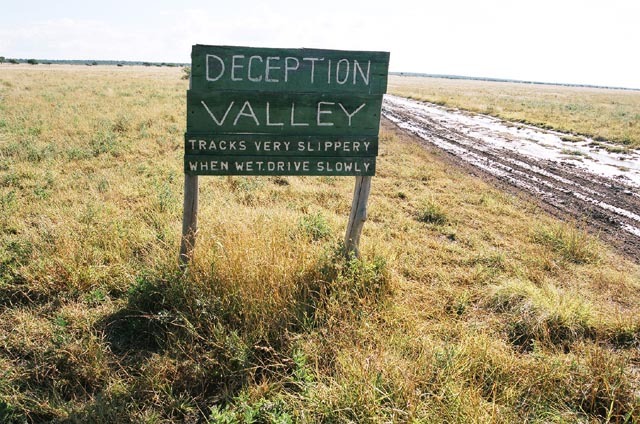 If you are intrigued by Deception Valley contact Travel Adventures Botswana to have it added as a stop on your self-drive safari or have a look at our Central Kalahari Game Reserve page for more information.